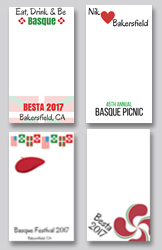 As every year, the Kern County Basque Club will host its annual picnic this weekend, Memorial Day Weekend, May 27-28th. Festivities will begin on Saturday with a Mus Tournament. If you would like to participate, please register with JB Bidegaray. 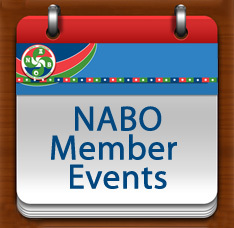 At noon there will be a tri-tip lunch, followed by a presentation by visiting musicians from Nafarroa. There will also be pilota in the evening with professional pilotaris from Euskadi. Sunday will begin with mass at 10am, followed by a BBQ lunch, dance and klika performances, and more pilota. There will also be a public dance beginning at 7:30pm to the sounds of Amerikanuak aka the Jean Flesher Band. This year, there are also four Basque Snapchat filters available to commemorate the weekend, thanks to the JR dance group. For complete information including ticket prices, please visit their website. This weekend soccer fans will have an opportunity to gather at the Euzko Etxea in New York to watch the King's Cup on Saturday, May 27th from 3:00-6:30pm. Doors open at 3pm with the game beginning at 3:30pm between Barcelona and Alaves. Come watch the game and enjoy some pintxos. For complete information, including directions to the clubhouse, visit their website. Just a reminder that the deadline to apply for this year's Gaztemundu Program is June 5th. This year's program will focus on Basque traditional instruments and will take place September 2-17, 2017 in the Basque Country. 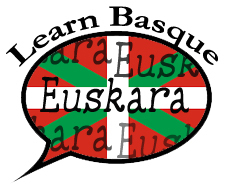 Criteria to apply include: being a member of a Basque Government recognized Basque Club for at least three years; being between the ages of 18-35; and not having participated in a prior Gaztemundu since 2003. Part of the application process also includes demonstrating your knowledge of music as well as at least one traditional instrument including: alboka, atabal or tamborra de gaita, the gaita navarra, panderoa, trikitixa, txalaparta, txirula and the txistu. 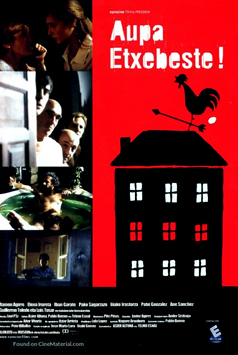 Complete information in Spanish is available here.